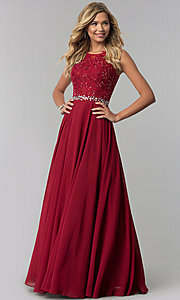 Here's a long prom dress by Elizabeth K with charming details. The sleeveless evening dress features an illusion scoop-neck bodice adorned with floral-lace applique that sparkles with light-reflecting iridescent rhinestones. 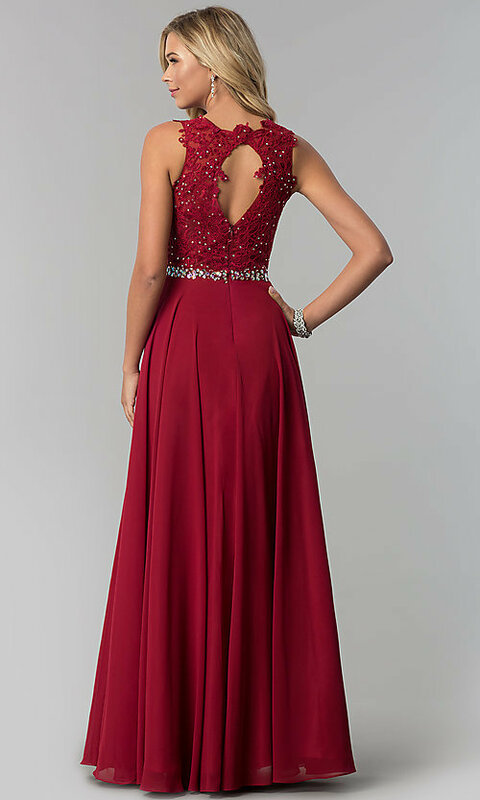 A lovely back cut out adds to the allure of this long formal dress. 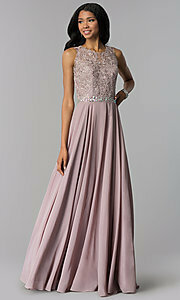 Additional rhinestones in various sizes highlight the natural waistline and crown the long chiffon skirt. Wedding-guests and party goers are sure to adore this beautiful chiffon prom dress, under $250, that is also offered in plus sizes for galas, receptions and prom 2019.